The Marlin from William Henry's Rogue collection is an elegant masterpiece. 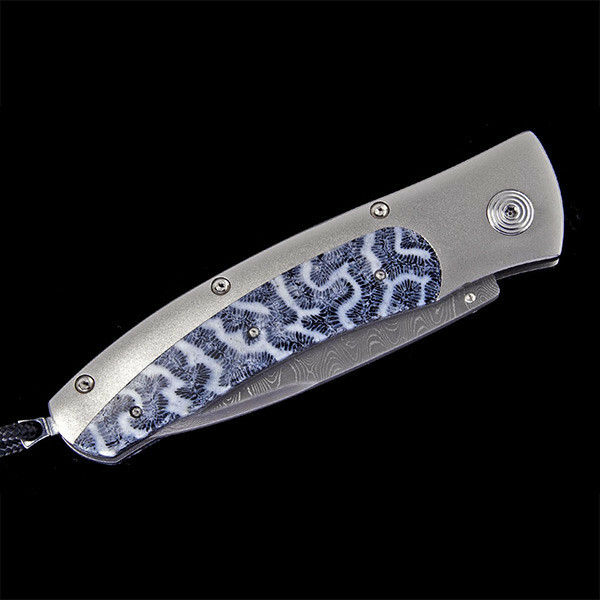 The ripple pattern of the Damascus steel blade has over 140 layers that never repeat, and it rests inside a frame of aerospace grade titanium that has an inlay of 100,000 year old fossilized coral. The one hand button lock and thumb stud are set with gorgeous blue sapphires. This pocket knife from William Henry is as captivating as the man who carries it.